A video that went viral recently shows an incredibly smart dog who would do just about anything to avoid visiting the vet. 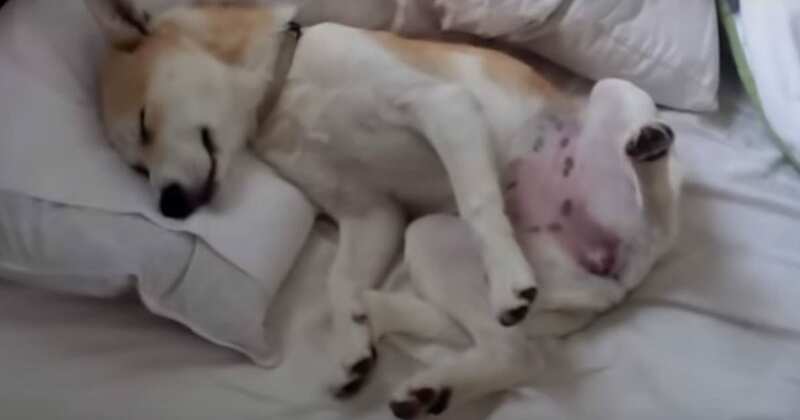 Lulu, a Shiba Inu who lives in New Zealand, knew there was only one way to escape a dreaded vet appointment. She had to play dead. 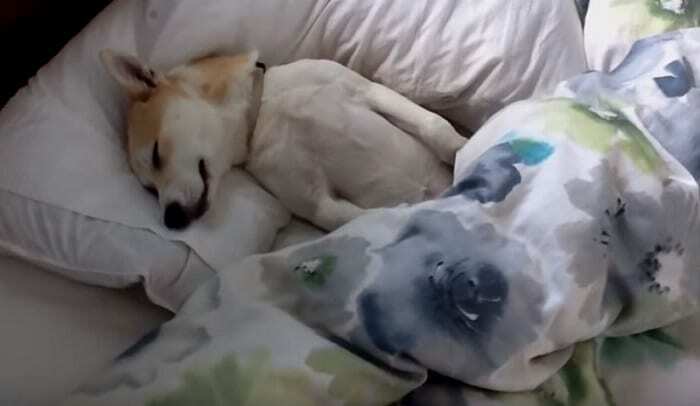 The video shows Micki, Lulu’s owner, entering the bedroom to find the dog motionless on the bed. “Morning, Lulu!” Micki calls several times before asking, “Are you gonna wake up? The dog is determined to play the act through to the end. Lulu’s acting is pretty convincing. She remains motionless through her owner’s coaxing and even a couple of tummy and head scratches. She even yells, “Boo!” a couple of times, but Lulu remains unmoving. It’s a good thing Micki isn’t easy to fool, either. If she was, she would probably already be on the phone with the vet. Micki pulls the covers off the dog, who continues to play possum. In fact, not a paw twitches until her owner has an idea. Lulu might be smart, but her owner knows her weakness. “Oh, well. Dead puppies don’t get treats,” she says. Immediately, Lulu is in perfect health. Her eyes fly open and she sits eagerly up, sniffing at the bag of treats. There are plenty of viral videos of dogs finding out, to their chagrin, that they’re on their way to a dreaded vet visit. Some shake their heads. Some, like Lulu, decide that it’s better to play dead. Some seem to think that if they close their eyes, they’ll realize it’s all a bad dream. Some dogs take a more direct approach. 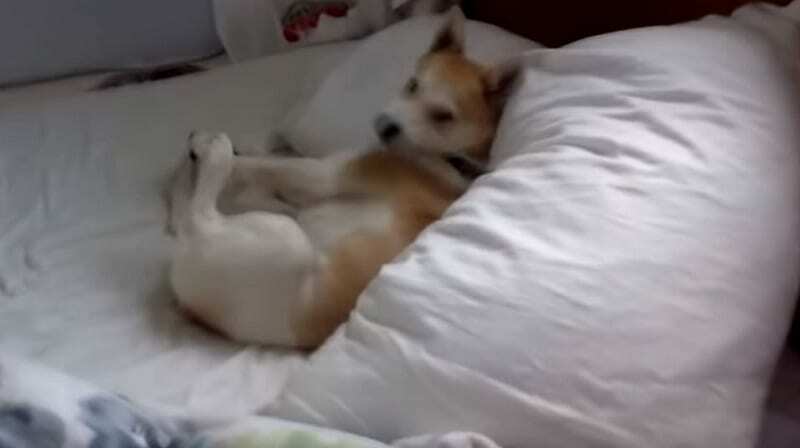 In one video by Rumble Viral, Carl the dog realizes he has a medical visit in store. He sits on a lead in the vet’s office, growing more vocal by the second. His owners try to coax him to talk about his problems. “Carl, what’s the matter? You wanna talk about it?” asks one owner. His owners start to laugh, but Carl is still in the midst of his tantrum. He sinks to the floor in despair and puts his head on his paws. He seems to be a little insulted that they are laughing at such a serious moment. Birds don’t seem to be fans of the vet, either, either. Dogs aren’t the only ones who seem to have a vendetta against the vet. 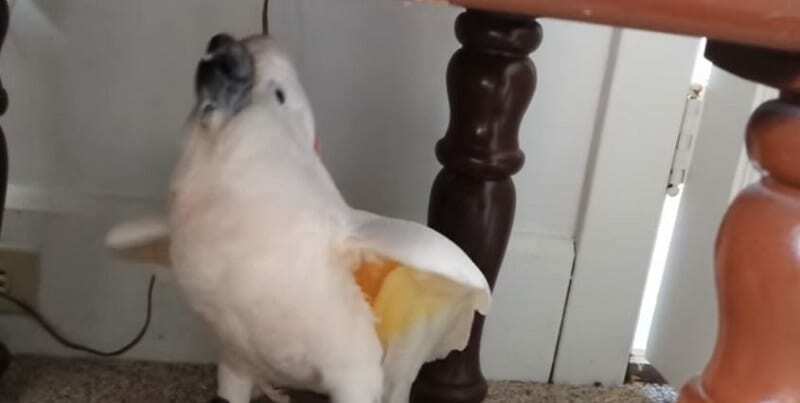 In a 2014 video, a cockatoo named Max throws a violent tantrum after finding out it’s time for a checkup. In the video, Max attempts to cram himself under a closet shelf, hiding from his owner. “I don’t wanna, I don’t wanna, I don’t wanna,” he mutters over and over again. No amount of coaxing is enough to get him out from his hiding spot. Max continues to express himself in full color despite his owner’s scolding. The cockatoo isn’t concerned about hiding his feelings. When he at last emerges, Max paces around in agitation. His squawks grow higher and angrier as he continues to tantrum with a mix of gibberish and real words. He even gives a frustrated flap of his wings, like a toddler in the midst of a fit. Even though his words aren’t always clear, something else is. He is telling his owner exactly what he thinks of this vet visit — and him. “You’ve got to get your nails done!” his owner tells him. The video ends while Max continues to tantrum. With any luck, he eventually got into his carrier and had a happy appointment. With any luck, they’ll get over their frustration with a treat and an apology. The lengths that animals go to avoid the vet are amazing. Presumably, the animals in these videos did make it to their checkup in time. They were also probably rewarded for good behavior. Whether they managed to forgive their owners for their betrayal is another story. However, like Lulu, they may have decided it was all worth it for a few extra treats.